LAKE BALBOA, CALIFORNIA (March 18, 2016) – Two-time ASA Truck Series champion and multi-time national karting champion Joey Licata began his 2016 championship run in the televised Loanmart Late Models at Madera Speedway on Saturday night with a fourth place finish. The finish came among a 22 car field in a wild 100 lap race, the first eight in the series which sees all of its races aired on MAVTV. Licata has raced numerous forms of racing throughout his career including his highly successful years in both karting and the former ASA Truck division. He has made several starts in various NASCAR Whelen All-American Series divisions including Late Models, Modifieds, and Irwindale Race Trucks, as well as an ARCA start at Daytona. 2016 will be Licata's first season back on the points trail and Saturday's performance kicked that off in strong fashion. The one-third mile asphalt oval in Madera was completely green on race day after a week of record rainfall. Licata found himself 12th after the second practice session fighting a tight race car. Champion driver and crew chief Matt Scott made changes to the Pacific Homeworks #70 Chevrolet hoping to improve for qualifying. The changes worked as Licata timed in seventh with a 15.595 second lap. After the redraw he started fifth for the feature. The original race distance was to be 125 laps over a pair of 50 lap segments plus a 25 lap third segment. Instead, the race was littered with caution periods with the first segment abbreviated to 19 laps and the overall race distance limited to 100. Licata ran within the top-ten throughout the first segment and was eighth when the caution flew. Licata's team made adjustments to the car for the second segment and he moved to the front. Licata advanced to fourth before being spun on lap 26. The race stayed green as Licata did a 360 degree maneuver on the front stretch to keep going and only fall to 12th position still on the lead lap. From there on Licata chipped away at the leaders and by lap 61 had advanced all the way to third position using both the high and low lines on the multi-groove race track. After a second unscheduled break, Licata went back to work running within the top-five in contention for as high as second place all the way to the lap 100 checkered flag. Licata had a front row seat for a great side-by-side duel for second place but he was unable to capitalize and ultimately finished fourth. Joey Licata Racing is presented by Pacific Homeworks, Royal Purple, Wildwood Brakes, and Hampton Inn Madera. SACRAMENTO, CALIFORNIA (March 17, 2016) – Royal Purple, a leading producer of high performance oils and lubricants, has joined Dylan Hutchison for the 2016 King of the Wing Western Sprintcar Series. 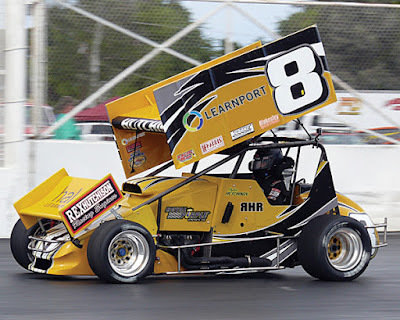 The 2015 series Rookie of the Year will drive the family-owned LearnPort / Royal Purple Beast Hutchison full-time in contention for the series championship. "It is a true honor to represent an international brand like Royal Purple," Hutchison said. "I am excited to hit the track on Saturday for the series opener at Madera and to put the oil to use in our engine shop as well." Hutchison made the move to pavement Winged Sprintcars in 2016 after competing for many years in the NASCAR K&N Pro Series, West and NASCAR Whelen All-American Series. The third generation driver is also an engine builder at his father and grandfather's engine shop. They will be able to get hands on with Royal Purple as they produce race engines for many different applications based out of Sacramento. The 2016 WSS will hit tracks all over the western United States including five MAVTV televised races at Madera Speedway (CA). The series will also stage its second annual trip to the historic Stockton 99 Speedway (CA) in early August. A return to Havasu 95 Speedway and Tucson Speedway in Arizona is planned for October as well. New on the 2016 slate will be a visit to the ultra-fast 3/8ths mile Rocky Mountain Raceway outside Salt Lake City, UT on Memorial Day. Hutchison's 2015 effort included a pair of podium of finishes, a fourth place run at Stockton, becoming one of several drivers to break the all-time Stockton track record, and a top-five against the national series at Irwindale in November. Utilizing a Rex Hutchison Racing Engines iron block 360 against the aluminum 410s on the half-mile, Hutchison recorded a fifth place finish. He ultimately finished the season third in points with nine starts, four top-fives, seven top-tens, and two heat race victories. 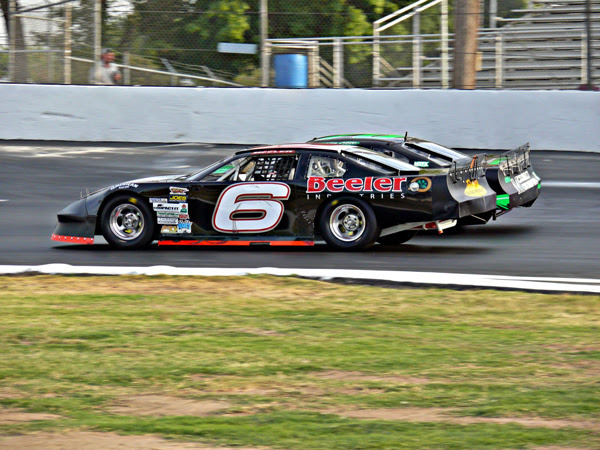 Hutchison's season gets underway Saturday at Madera Speedway (CA). His racing program is presented by LearnPort, Royal Purple, Rex Hutchison Racing Engines, Naake Suspension, All Valley Tow, Rich Howell Racing, Race Tec Pistons, WrapStar Pro and Blakesley Sports Media. SACRAMENTO, CALIFORNIA (March 15, 2016) - The Pacific Challenge Series presented by PenneyLawyers.com returns to racing this Saturday night at Loanmart Madera Speedway for its 2016 season opener. Super Late Model teams from all over the west will invade the one-third asphalt oval for a 75 lap feature to be televised on MAVTV. The stop at Madera sets in motion a busy 13 race campaign with 12 points events plus a non-points season finale in Roseville, CA. Drivers will use points earned from their ten best finishes to try to take the championship. Madera's two PCS rounds are the first series races ever to be televised, with both being produced locally by promoter Kenny Shepherd and Short Track Management to air on MAVTV in tape-delay later this year. Three of the last four series champions saw their PCS title as their first career SLM championships. The series' all-time winningest driver Upperlake's Jeremy Doss claimed the crown in 2012 at just 15 years old before Modesto's Mike Beeler won in 2014 and Granite Bay's John Moore is the defending champion from 2015. All three are set to run the full season this year in one of the most competitive points fields in PCS history. Doss won the inaugural trip to Madera last August after a barn burning battle with 2015 SRL Southwest Tour champion Jacob Gomes. Gomes is also expected on Saturday night. 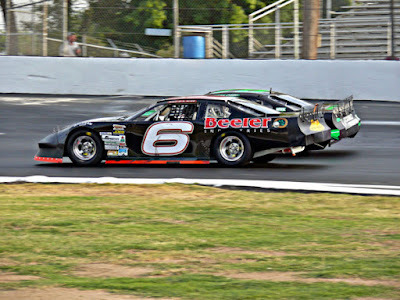 Beeler led the first 24 laps and won the dash last year before ultimately finishing third in the race. Beeler came up just ten points short of Moore in his bid to become the first repeat series champion. Moore's son Cole Moore was the 2015 Rookie of the Year without a win but with eight top-tens in his debut asphalt oval season. Cole ranked third in the points standings ahead of Elk Grove's Ron Chunn and Grass Valley's Don Swartz. Another early title contender for 2016 is Travis Milburn, a St. Mary's College (CA) business graduate originally from Eagle, ID. 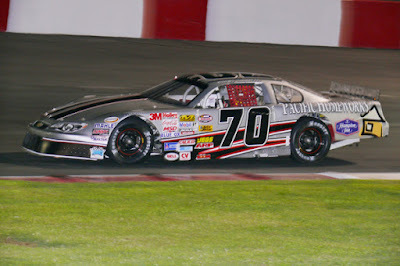 With extensive touring experience in the NASCAR West Series, Milburn had an average finish of fourth in his seven starts last season including a win at Roseville last June. Others expected at Madera include sixth in 2015 points Mike Hite, April Roseville winner and 2006 Westcar champion Shannon Mansch, and top 20 in the points drivers Chris Scribner of Loomis, Bobby Hodges of Carson City, NV, Hayward's Danny Malfatti, John Nesmith, and Tracy Bolin. Kyle Gottula of Modesto won the September Roseville event last year and perhaps has the most Madera experience of anyone expected on Saturday. JR Courage will set sail on a planned inaugural full-time PCS campaign on Saturday night as well. Saturday's action begins a series that will travel to Roseville's All American Speedway on four occasions, Stockton 99 Speedway and Ukiah Speedway each on three occasions, two trips to Madera, and a single trip to Shasta Speedway in Anderson. Madera Speedway has served up a busy night of racing with the King of the Wing Western Sprint Cars and local Twisted Tea Modifieds sharing the card for three features in one night of racing. An extended practice will kick things off Friday afternoon, with gates opening at noon and practice running from 2 p.m. - 8 p.m. There is no car fee just a $50 pit pass fee with concessions being offered for sale as well. On Saturday night, the first practices will begin rotations at 11:30 before qualifying at 2:30, a Dash for Cash at 6 p.m. and the Pacific Challenge Series 75 is the final race of the night at approx. 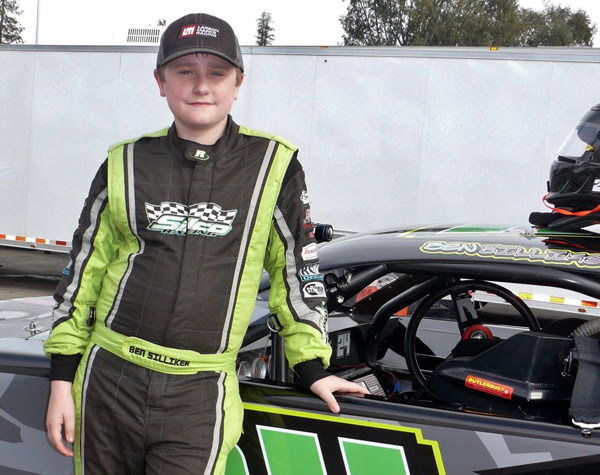 9:30 p.m.
LEMOORE, CALIFORNIA (March 15, 2016) – Team Silco Racing development driver and Alberta Canada native Ben Silliker finished second in the debut of the Jr. Late Model Series at Madera Speedway on Saturday night. Silliker was making his asphalt full sized stock car debut one month after his 11th birthday and had to come from behind for the runner-up finish. Saturday was the first ever event in the world for full size Late Models with drivers ages 10-16, with a field from all over North America. MAVTV will air all eight races of the series with the first race tentatively to air in May. The weekend was marked by a series of unknowns for the busy and accomplished young racer who has made a name for himself in dirt Outlaw Karts and Micro Sprints. Silliker is fortunate enough to have Grant Edwards of Evolution Race Cars serving as crew chief to help get up to speed. After only three days of testing, race day arrived on Saturday night. Silliker was second quickest in the first practice session before moving to the top of the board in the second set. Qualifying saw Silliker time in second fastest with a 15.616 second lap on the one-third mile asphalt oval. Despite it being his series debut and with a restrictor plate, the lap would have been good enough for ninth out of the 22 adult Open Late Models that also raced Saturday. 13 cars took the green for the 50 lap feature that was spread across two 25 lap segments. After an incident at the start of the race, Silliker came from the back and used an extended green flag run late in the segment to advance to fourth. He was spun out coming to the line and had to go to work again from the rear after the halfway break. The team made adjustments to try to loosen up the car and Silliker started making his way to the front. An approximately ten lap green flag run marked the ending stages of the race, where Silliker had good racing with both Dezel West and Ryan Vargas. Silliker moved past Vargas and found his way to second at the finish of the race. It was a big night for Silliker and his sponsors with Evolution Race Cars, Micro Blue Bearings, and Hamblin Motorsports represented along with product sponsors CSI Shocks, Vahlco Wheels, and Motion Media. Silliker ran a Breast Cancer ribbon on the hood for this round but has hood space available for the second race on April 30th. Silliker will now turn his attention back to the dirt where he will compete on Thursday at Delta and Saturday at Lemoore in both tracks' Micro Sprint openers. Silliker races in the Restricted 600 division with speeds up to 80 miles per hour on 1/7th and 1/8th mile tracks. Thursday's races will be broadcast on FastFourMedia.org for those that cannot attend. His early dirt results this year have seen nine starts, a win, and five top-five finishes. More information on Team Silco Racing can be found at www.TeamSilco.com or on Facebook and Twitter. Here's another motorsports organization who has years of experience creating hot racing tickets for their fans. The Havasu 95 will spend this Saturday night presenting, what they're naming, "Bring On Spring". They're bringing it by presenting a stellar show that includes the Lucas Oil Modified Racing Series, the Sam Nichols Electric Factory Stocks, the Bandoleros and a fan participation Tough Trucks competition. All of this fun starts at 2pm and is being sponsored by Carquest Auto Parts and the Mud Shark Brewery. The Lucas Oil Modified Racing Series, presented by Loan Mart, is a huge fan favorite at every venue they visit. Now entering their second decade of operation, the series has hit new heights and presents an extremely healthy car count that features young drivers, establishing their regional touring careers, mixed with veterans who have spent years towing their cars to a wide variety of tracks located in the western states. 2015 season champion Austin Barnes will be on hand to launch a campaign seeking his third series title and, as always, will be a major force to be reckoned with. However, he can expect plenty of competition from the likes of drivers Dylan Capello, Scott Winters, Jason Irwin, Taylor Miinch and Mathew Hicks. This group of drivers completed the top five in last season's final points standings and will be looking to rise to the top of the championship standings in 2016. The series will be running their tried and true 75 lap main format which does not include counting yellow flag laps. The action is bumper to bumper intense and well worth the price of the grandstand ticket. The Sam Nichols Electric Factory has been a fan favorite at the Havasu 95 Speedway for many years now with their racing is rubbing format. Brent Delay leads the series' championship standings going into this Saturday night with 384 points based on a rock solid season that includes six feature wins, seven top five finishes and one top ten. However, those impressive numbers does not guarantee Delay a championship. That's because series veteran Jose Guevara, with a feature win and eight top five finishes, is only 12 points behind Delay. There are three races left on the division's schedule before a champion is crowned and some hard charging from Guevara could create a most interesting title run. The youngsters in their small, but very fast, Bandoleros will be running twin 20 lap main events Saturday night. So far this season this division has been all about driver Allison Gay who in six appearances at the speedway, has generated six main event wins while collecting a perfect 300 points. Driver's Brock Rogers, 284 points, and Madison Gay, 270, are also near the top of the standings. When you watch these youngsters drive their Bandoleros you are watching future track champions and, quite possibly, even future NASCAR stars. The dirt covered infield area of the track will also see plenty of action Saturday night when the speedway presents Tough Truck competition. All street legal trucks, along with cars and jeeps, are welcome to race the clock on an obstacle course. Interested drivers can contact Bobby at 928 412 2184 for complete details regarding what is highly expected to be a very entertaining event. The Havasu 95 Speedway weekend actually begins on Friday night with a test and tune session, open to all racing divisions, from 6 to 9pm. The grandstands will be open, free of charge, to fans. On Saturday, CARQUEST/Mud Shark Brewery race day, the spectators gates will open at 12pm with the racing receiving the initial green flag at 2pm. General admission tickets are $12 and $10 for seniors, military personnel and the handicapped. Kids tickets, age six to 16, are $6 with kids five and under admitted free when accompanied by a paid adult. The speedway also offers a budget friendly family package for $25 that admits two adults and two kids. Fans can also enjoy the special amenities of the VIP section, featuring the best seats in the house, for $25. Advance tickets for Saturday's race can be purchased during Friday night's test and tune session or by visiting Peggy's Sunrise Café located at 1584 Country Shire Avenue. 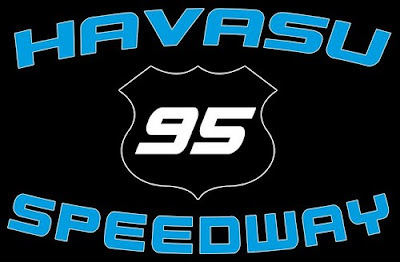 For more information regarding the Havasu 95 Speedway dial up their website at www.havasu95speedway.com or visit their Facebook page. Here's a true hot ticket because it involves a special Saturday night appearance from the always exciting NASCAR K&N Pro Series West. The famed series will be treating Irwindale fans to the Toyota/NAPA Auto Parts 150, presented by Bill McAnally Racing. This event is the official 2016 season opener for the series. 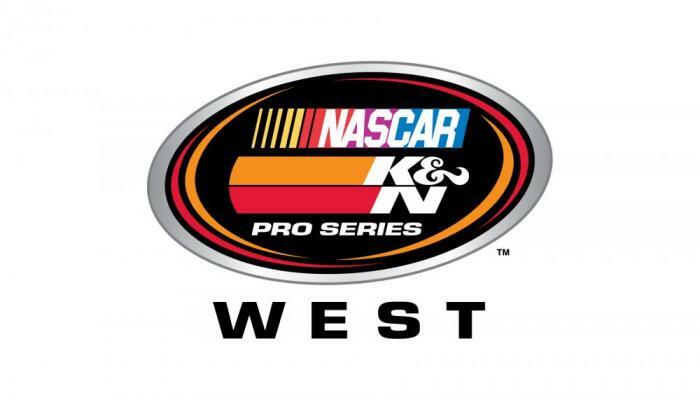 The NASCAR K&N Pro Series, both the West and East Series, is the top in NASCAR's developmental ladder before drivers progress to the three national touring series. According to NASCAR historical archives, the West Series actually dates back to 1954 during a time when NASCAR racing came to the west coast and established the Pacific Coast Late Model Circuit. Eventually that series morphed into the touring show that we enjoy today. To find out how strong this program is today you only have to ask reigning NASCAR Sprint Cup Series champion Kevin Harvick. He won the West Series championship back in 1998. The relationship between this series and the Irwindale Event Center is also rich in history and dates back to June 19, 1999. On that night former series champion Butch Gilliland established a qualifying record of 17. 871 second/100.722 on Irwindale's high banks. By the way, that record setting qualifying record remains intact and is still waiting to be broken after all of these years. On this night it was series' veteran Steve Portenga who won the first West Series race at Irwindale. While the K&N Pro Series West will certainly be the highlight of Saturday night's racing show, the IEC has added two more levels of racing excitement for this special evening. The NASCAR Whelen Late Models will be treating the fans to a 50 lap main event along with an appearance from the Race Car Factory Spec Late Models. On Saturday race day the spectator gates will open at 4pm followed by qualifying rounds at 5pm and racing at 6pm. There will of course be the IEC's autograph session allowing fans to come down on the track see the cars and meet the drivers. Here's yet another aspect of IEC Saturday night that will make the evening special for the fans. It's a special gift from West Series championship team owner, and former series driver, Bill McAnally. $15 general admission tickets are currently available at www.bmrnapa.com/bmr-racing/storetickets. If tickets are purchased from this page or Paypal, you will receive an email confirmation. Your tickets will be available at the IEC will call window on Saturday, March 19th, at 3pm. If you would like to receive hard tickets via Federal Express, please call 916-676-0010 extension 1103. An extra fee will be added to your purchase. There is also a parking fee of $10, cash only please. Anyone who has attended NASCAR K&N Pro Series West events in the past are well aware of the fact that $15 tickets are both a bargain and a gift. Thank you Bill McAnally Racing.